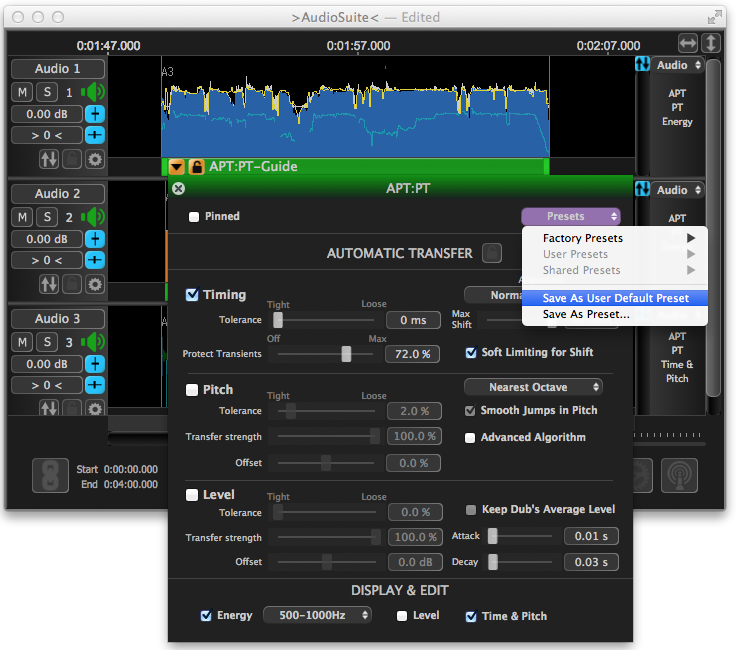 With the Pro Tools "Quick" plug-ins, a Revoice Pro process is created automatically after the audio has been captured from Pro Tools. 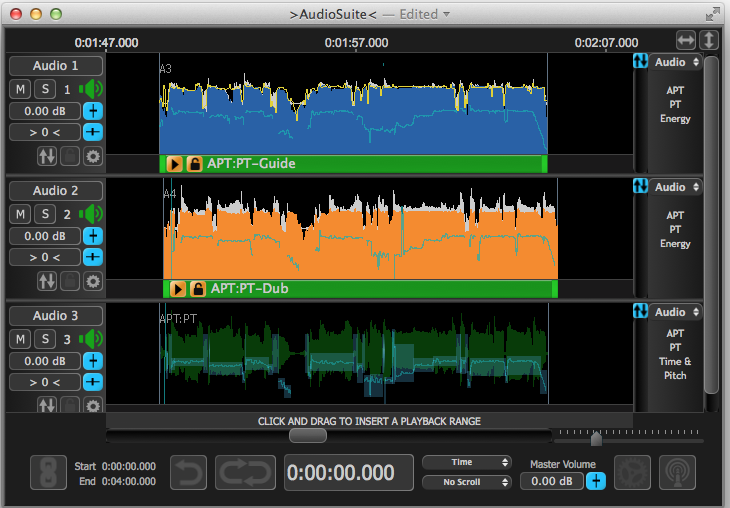 You can optionally ignore, inspect, or audition the processing that has taken place in the Revoice Pro session, which will look similar to that shown below. However, nothing further has to be done in the Revoice Pro window. If you do need to change the APT Processing setting, you can open the APT Control panel (shown below) by selecting the Revoice Pro window and, with the APT control blocks selected, press P to open the APT Control panel. Then change the settings and press the Space Bar to re-process and audition the audio. If it is OK, you can optionally save the new settings as the Default User Preset for the next APT process or simply go to the next step.